Close Bag of Chips without a Clip! If you're a guy in jr high ministry... ya gotta know how to grill steak. (one substitution: use grape seed oil instead of olive oil. olive oil has a low smoke point and burns). 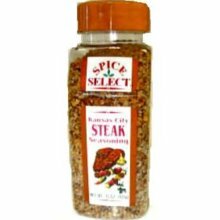 The seasoning below is my favorite dry rub: It's called Kansas City Steak Seasoning by Spice Select. Easiest Way to Fold a Shirt! In 2008 I bought a new car. At the time, I was making enough money to comfortably pay the monthly payment. However, I lost my job in 2009 and right now I’m on disability. My car payment is $340 a month for 31 more months. My auto insurance is $250/month because I’m required to carry full coverage. I honestly don’t want my car. It’s been a financial drain on me and I just can’t afford it anymore. I’d like to save the money to be able buy a used car – for around $2,000 – only using cash. How do I go about doing this? If I sell the car, how do I give the buyer the title of ownership? Should I let the finance company sell the car? What about making up the difference between what the car is worth and the loan amount? Unfortunately, you’re facing what many others have dealt with after buying a new car. “Car sickness” is the feeling you have when the monthly payment is due! Your car payments and increased insurance costs are a huge drain; and if everything in life doesn’t go according to plan (when does it ever? ), you could end up in a big, hairy mess. So the question is: How can you sell your car when you’re upside down on the auto loan? Fortunately, there are steps you can take. Determine the value of your car. Edmunds.com and KBB.com are great resources. Look for the “Private Seller” value, as this is the best way to get the most for your car. Be honest about your car’s condition. Determine exactly how much you owe on your auto loan. Do some math. Subtract your estimated selling price from the total balance of your loan (i.e. $22,000 loan amount – $15,000 sales price =$7,000). This is the amount you need to come up with in order to sell the car, because the bank that holds the loan must still be paid in full. You will need to speak with the bank and explain that you plan to sell the car. You’ll also need to find out how you can get the title from them when you do sell. You need to come up with the difference between the loan amount and the sales price of the car (the $7,000 in the example above). It sounds like you don’t have the money in savings to cover this amount, so you’ll need to visit banks and credit unions in your area to be pre-qualified or pre-approved for an unsecured loan. Even though you are taking on new debt, it will be a much smaller amount with a much smaller payment. At this point, you at least know it should be possible to qualify for the unsecured loan. Before you do anything else, you need to begin saving the money to purchase your replacement car. Once you’ve got $2,000-$2500 saved, you can move on to step 6. Once you’ve determined how you will pay the difference in the loan and have the money for your replacement car, it’s time to make your care officially For Sale. Put an ad on Craigslist.com, in your local newspaper, put a “For Sale” sign in the car’s window, place an ad in your local Auto Trader publication, etc… Spread the word however you can that your car is for sale. When you have found a buyer, you’ll go to the bank with the money from the buyer (in the form of a cashier’s check or cash) and the money you borrowed to cover the difference in the loan amount. The bank will fill out the paperwork so that the title is transferred to the new owner. Learn a lesson: Try to never, ever, ever take on a car payment. Also, unless you are very well off, buying a brand new car might be an unnecessary financial strain. That’s the basic plan for getting out from under a crushing car payment. It may seem like a pain in the neck, but it’s better than struggling with those ridiculous car payments for another 31 months. Best of luck Beth, and thanks for the question!